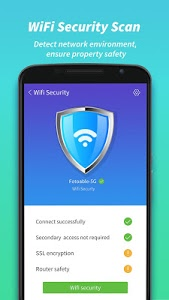 Antivirus free, with functions of real-time scanner, security monitor, App Lock, junk files cleaner, battery saving etc., helps to detect and remove virus, clean and boost phone up, snap the snooper secretly, and gives your Android overall security protection. Antivirus Gratis, the most trusted security protector with powerful features. 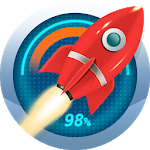 Antivirus Gratis, a must-have app for virus clearing, security monitoring and privacy guard. Antivirus is such an all-in-one security protector for optimizing Android device. It helps to scan dangerous factors and consuming data in seconds, remove virus and clean junk file in high efficiency, safeguard your privacy and property with multilayer protection, keep your phone safe from virus, malware, spyware, and adware, is a must-have app! 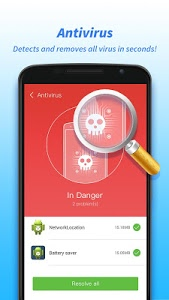 - Antivirus realizes one tap scanning, detect virus and clean them with junk files, protect your Android from malicious factors. - Warn against malicious WiFi Hotspots, especially public free WiFi, secure your privacy and ensure property safety. 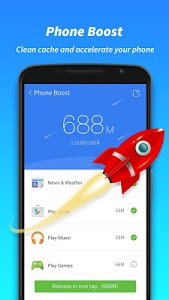 Fast scan your phone, clean junk file and cache for instant speed boost, which helps to ensure safe environment. 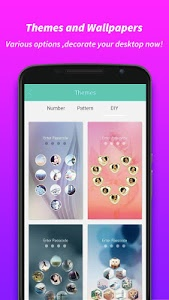 Easily to clean and release phone storage in seconds. App Lock can lock any app you want to protect. It Prevents unauthorized access, and guards privacy. Ensure security! 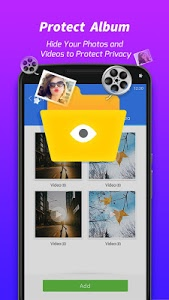 Choose photos or videos to hide, protect your own secret. Nobody can check them except yourself. Monitor data consumption, remind you to close consumptive apps. Take an intruder selfie, and secretly catch the snooper immediately when someone enters wrong password. You also have the option to set the limits of wrong password entering, No one can find out your secrets! Block Harassing calls and messages. 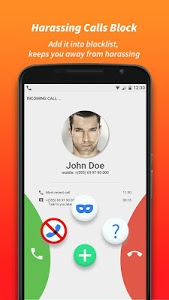 Telephone numbers can be added into blacklist, and you won’t be disturbed again. Security can monitor background apps, and stop apps occupying too much memory. Tap to boost phone and enlarge memory, allowing you to open apps without delay. It optimizes running apps in seconds, keeps healthy of phone battery and extends standby. Show the information of app consumption, and remind you to close consumptive apps. However, our powerful phone guard App Antivirus can solve all troubles above and give your Android multilayer protection. 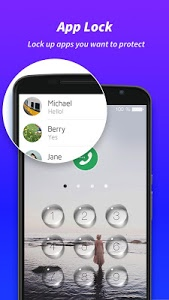 No need to worry about security of phone and privacy leakages anymore! With Antivirus, you can clean phone with exactly virus detecting, scan phone data and network environment to ensure privacy and property safety, lock apps to prevent invading and hide photos or video to protect secret. 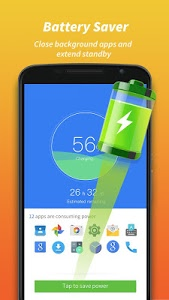 It also helps to prevent unnecessary apps consuming too much power and enlarge storage with the functions of power saving and junk files cleaning. Otherwise, you can also easily manage your apps with Antivirus. Antivirus, your best virus remover and privacy guarder, gives your phone overall security protection.